Inform, advertise or entertain in style. 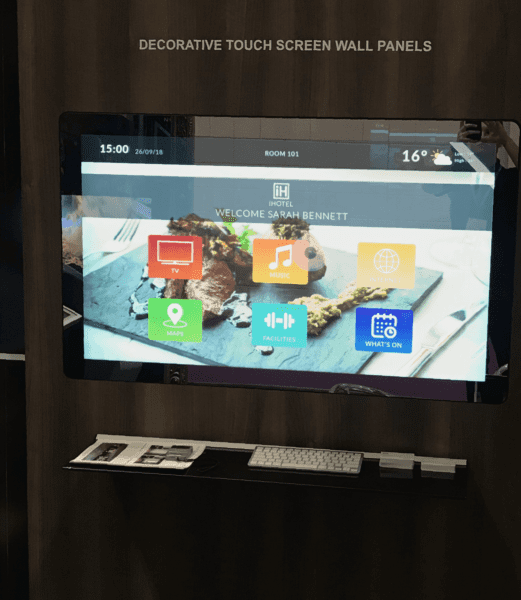 Our Wall Integrated Mirrored Touch Screen offers the ultimate in display screen technology, with interactivity built in to take customer engagement to the next level. Have the best of both worlds with this amazing display, using it as both a mirror and a screen, allowing you to style your interior to your preference without having to compromise on theme or space. With both horizontal and landscape orientation and the leading responsive PCAP touch technology, this Decorative Wall Panel with Mirrored Touch Screen functions as much more than just a display screen. As an effective and striking sales tool, this product allows you to engage your customers in a way that your competitors cannot, informing clients whilst providing a heightened sales experience. Ideal for a range of applications, this screen is designed for install into a wall aperture, allowing for a flush fit into your space. A stylish and unique solution, this screen provides your visitors or customers with a memorable experience; used to display information, product selectors and even interactive games, the applications for this product are endless. Recent years have seen an increase in the use of Augmented Reality and mirror screen technology is a fun and easy way of applying this fast growing trend. From trying on virtual products to interacting with virtual characters or assistants, the are so many creative applications that can influence or impact efforts in increasing footfall and sales. Wall aperture integration offers designers a trendy and futuristic solution, allowing the technology to appear more merged with the room compared to alternative mounting options. This creates a ‘smart room’ feel, allowing users to feel as though they are engaging with the environment itself rather than an appendage display. This could help users to develop a special affinity with the brand or environment that makes them feel more in sync with the information or application the screen is being used for. Pro Display manufacture a wide range of Mirrorvision products, including interactive, specialist display and retrofit solutions. 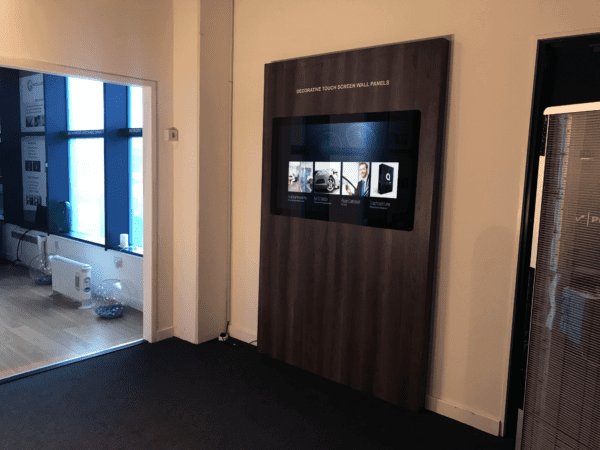 For other smart room solutions, Pro Display also offer a range of interactive furniture, helping you stay more connected to your environment. 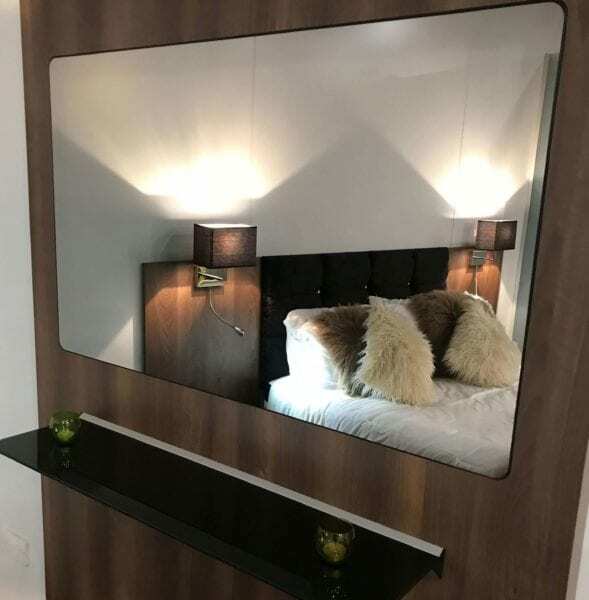 We manufacture in Britain and ship worldwide – if you need further information, a pricing quote, or want to discuss ideas for using our Decorative Wall Panel with Mirrored Touch Screen please complete the form below, or call us on +44 (0)1226 361 306.